It's silly season, so little going on of Worcester Park note in the headlines at the moment - save for this snippet of news about a suspended Worcester Park chemist who has been fined for illegal possession and sale of Viagra. 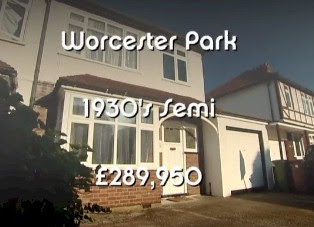 There are a few videos of Worcester Park on YouTube, mostly 10 second pixellated mobile phone clips of of chavs making moron faces at the camera. Now, at least, there is something Worcester Park-related that is worth your while watching - and it comes courtesy of aspiring local film maker James Webber. The interiors of his short film 'Tentboy' were all filmed at Briarwood Court flats opposite the station and the park scenes were shot just 10 mins from good old WP! Oh! We're having a heatwave, a tropical heatwave. The temperature's rising, it isn't surprising. Actually it is surprising, considering the washout that last year's summer amounted to and the monsoons we enjoyed a week or two back. If the heat is all too much for you and has reduced you to a sweating moaning mound of misery then the good news is that CAZBAR on Central Road is now fully air conditioned so you can chill out there (literally) this summer. Worcester Park's second biggest secret (I can't tell you what the first one is, as it's secret) is that they have a patio area at the back, which will soon be pressed into action as the main bar is closing from for a from 3rd - 8th August. Meanwhile you have just over a week to vote on July's Monthly Poll, where we ask the real reason why you moved to Worcester Park. Perhaps I'm expecting too much, but it would have been nice of Sutton Council to give us advanced warning of the Local Authority strike. Being a 21st century citizen, I checked their website last night to see whether they were one of the councils affected by the decision by hundreds of workers up and down the country to have a few days off in the sunshine. Nothing was on the website to suggest that services would be disrupted so I happily wheeled the bins to the kerbside last night and curled up on the sofa to chuckle at the news item on TV about Swansea University students who are having to have their graduation ceremony in a tent because of the strike. As those of you who were due to have waste collected today will have noticed, the bin men never did come - and those due collections tomorrow will also miss out. In a fit of bin-rage I hatched an ingenious plan to drive my uncollected refuse to the heart of Sutton officialdom and unceremoniously tip the contents onto the floor of the Town Hall shouting 'This is what I think of your waste collection!'. But that will never happen. So instead I'll content myself with the advice posted belatedly on Sutton Council's website. It's just a shame that Sutton Council didn't have the courtesy to give residents a bit of advanced notice. Ah well. Next time, eh? "I wonder if you or any of your readers saw the strange lights bouncing around in the sky above Worcester Park, from about midnight to 1am Sunday night. It would be wonderful if they were UFOs - that would really help put Worcester Park on the map - but I'm sure there's a much more mundane explanation. There were three balls of light, quite ghostly looking, high in the clouds, each circulating in its own orbit, but coming together every so often to bounce off each other. It was quite intriguing to watch." Did you anything? Eye witness accounts (and photos, of course) all welcome! We wondered if it was a laser show, though there were no visible upward beams visible linking them to the ground. Someone else said perhaps it was ball lightening, but the movement seemed a bit too regular. Anyway, if anyone can cast any light on these lights, so to speak, I'd be grateful, I'm curious to know what or who caused them. If you've ventured onto Central Road this weekend you'll no doubt have noticed these box junctions that have appeared by some of the feeder roads. If early indications are anything to go by, this latest answer to the gridlock is going to be roundly ignored. 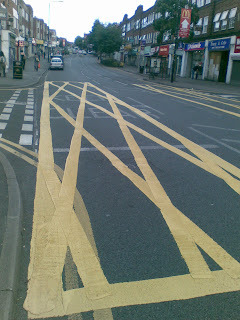 As I observed for a few minutes yesterday at the double-box junction conundrum that has appeared opposite Iceland and the Halifax, most drivers seemed oblivious to the new yellow markings and carried on obstructing them as normal. The occasional driver seemed to heed then, whilst others took advantage of the central gap between the two boxes and drew to a halt in the middle of the road instead. Looks like Monday's rush hour is going to be interesting. I, for one, understand the basics of box junctions (don't enter until your exit is clear, unless you are waiting to turn right and are prevented from doing so by oncoming traffic) but quite how these are going to work is beyond me. Are they meant to help traffic get off the feeder roads and onto Central Road? Or are they meant to prevent traffic coming off the feeder roads from blocking Central Road when making a right turn? Sign the Worcester Park Blog's Guestbook. Leave some pithy comment or general platitude. Better still, tell everyone how wonderful the blog is. 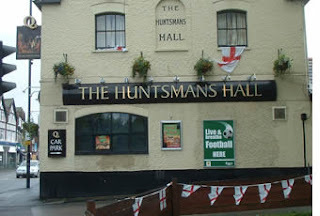 I was so desperately hoping to move this blog away from The Hamptons - we managed it briefly with a run of meat-related jokes and brief excitement over a brothel in Worcester Park, but matters must now return to our New England friends as a 'Public Enquiry' has been announced into the issue of further expansion of The Hamptons. 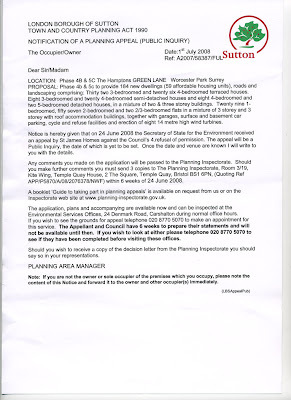 Back in December last year, St James Homes (developers of The Hamptons) had their planning permission for the final phase of The Hamptons rejected. Further strain on local services (schools, doctors' surgeries etc). As expected, St James have now lodged an appeal against the rejection of their planning application. The fight is on - it is up to the people of Worcester Park once again to voice their opinions and ensure that the eminently sensible decision of the local planners is not allowed to be overturned. Or, in other words, 184 more dwellings. As fun as the jibes about The Hamptons residents have been, and as much as we have all enjoyed the war of words between the two camps this is about a very serious threat to the infrastructure and local services of Worcester Park. If you think we can handle yet more traffic on Central Road then by all means allow this to go through unnopposed. If you are happy that the local schools and doctors surgeries can cope with 184 more dwellings then you can put your feet up and relax. To all those who share my horror at the prospect of yet more development in the area, I propose that 'Round 2' against St James has now well and truly begun! Are you ready for the fight? Click on the scanned letter at the top of this blog posting for more details on how you can add your voice to the appeal. I did quite well on my ongoing 'shop local' mission over the weekend. I popped in to Kim's, the new(ish) barbers in Central Road. The whole thing happened so fast I had to check my reflection in the window on the way out just to make sure that I had actually had my hair cut. Super fast scissorship, Kim. Then to accompany an impromptu BBQ I called in for some tabbouleh (Lebanese salad to you and me) and other assorted oddments from Ryan Gate. The normally fail safe tactics of pointing to the menu never quite seems to work there and communication invetiably breaks down resulting in me leaving confused and clutching some random items from the menu at a equally unfathomable prices. Perhaps I was supposed to haggle? Still, all part of the lucky dip of shopping Ryan Gate style. Then it all went horribly wrong on Sunday. I did something that I am deeply ashamed of. I know I shouldn't have, but the temptation was there and in a moment of weakness I succumbed. I now feel dirty, used and thoroughly disgusted with myself. Yes, I went into KFC. But I didn't inhale. I stood patiently in the queue, dodging the screaming toddlers running amok. The stench of dripping fat was overwhelming - and that was just from the obese woman in front of me. After two minutes in the queue, as the disfunctional family unit ahead of me waddled off clutching their Bargain Buckets and another serving of brown greasy battery-chicken-remains was dredged from the depths of the deep fat frier I came to my senses and legged it back into the fresh air of Worcester Park.